The gentleman’s barber is a true master of grooming, with a sharp blade and fine scissors he can transform a dishevelled man into a distinguished gent in a matter of hours. 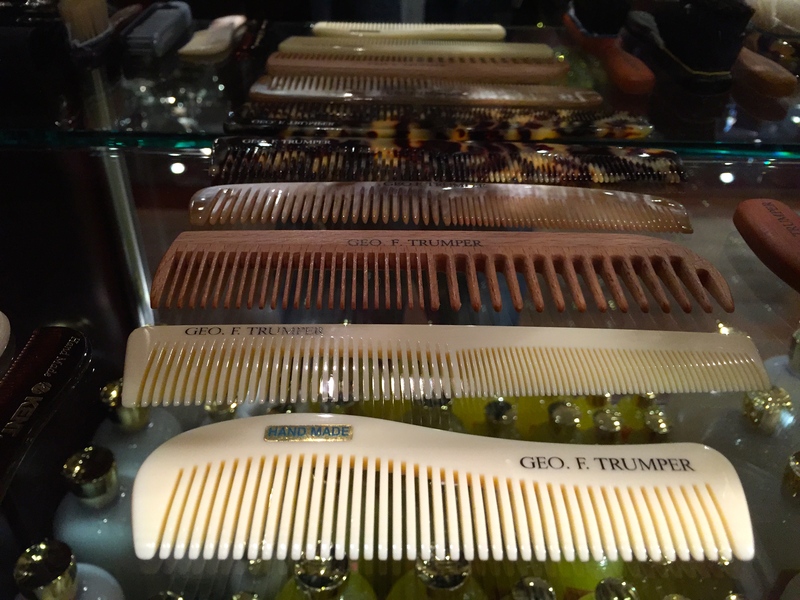 Geo F Trumper is one of the oldest and most luxurious barbers in London who not only provide a variety of top quality grooming services, but also have great expertise in the formulation of soaps, fragrances and grooming utensils. 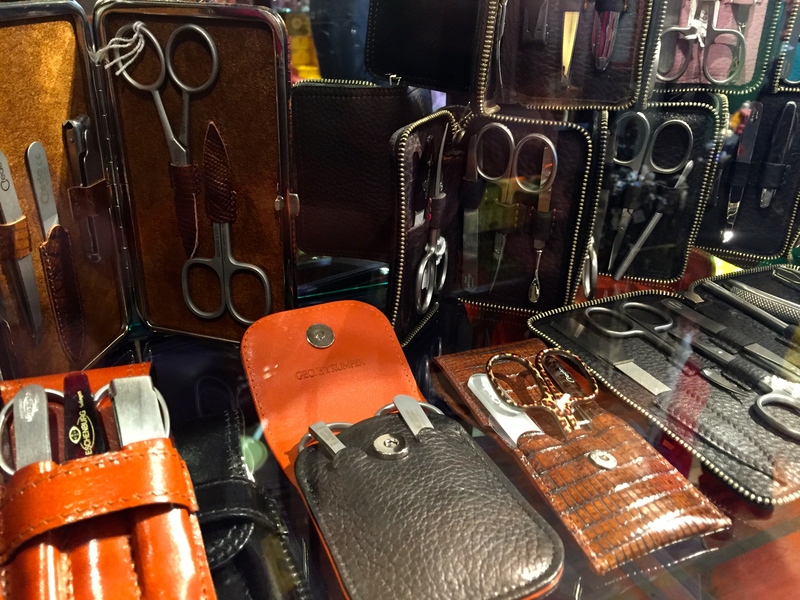 We were recently given the opportunity to go to their shop on Duke of York Street, alongside the great tailors of London, to sample their products and services. Upon entering we were warmly greeted by staff and were offered the opportunity to view some of the beautiful product ranges Trumper have created. 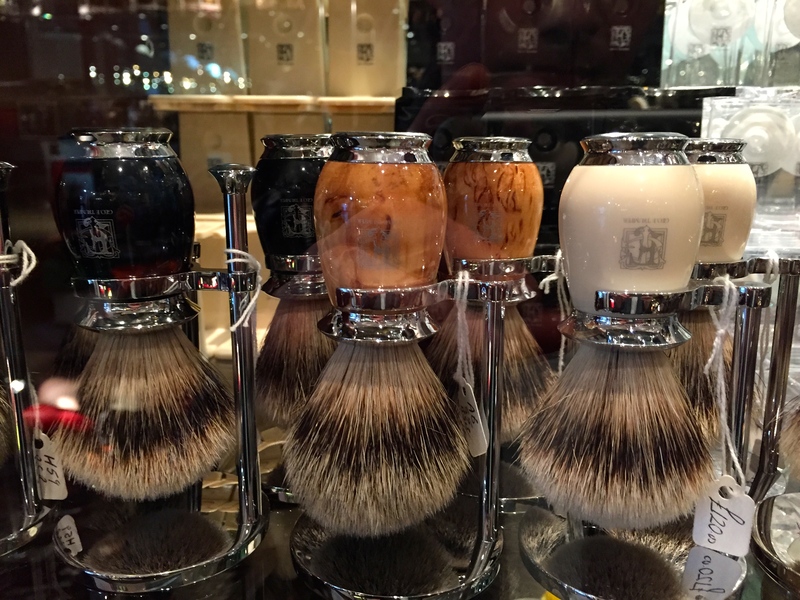 The shop itself was a mixture of dark mahogany and brass with ornate cabinets displaying everything from fragrances to shaving creams, hand-crafted hairbrushes and walking canes. 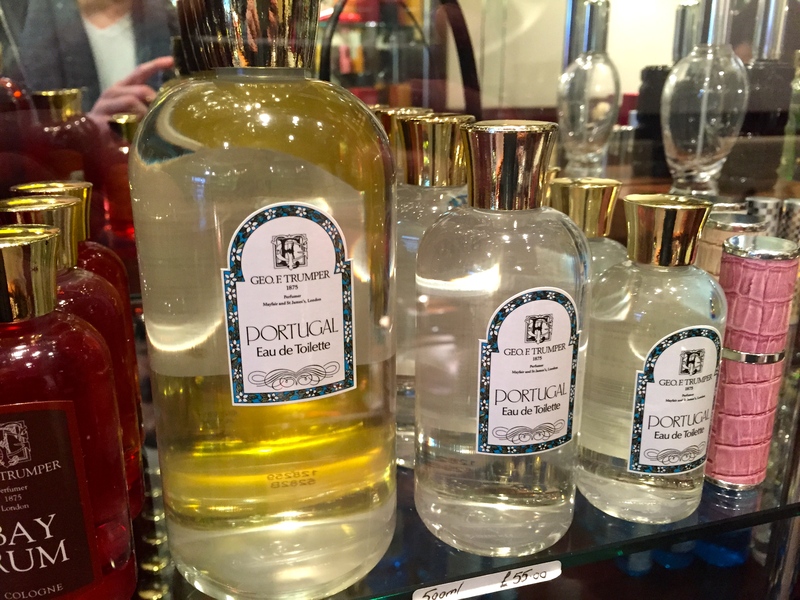 The soft scents of sandalwood and leather filled the air, indulging the senses and relaxing the mind. An Italian gentleman then came downstairs and guided us upstairs to a quiet room where 4 barbers chairs were positioned surrounded by finely polished scissors, razor blades, warm towels and fine grooming products. Once sat down the barbers began our haircuts, every cut and trim was precise and deliberate. 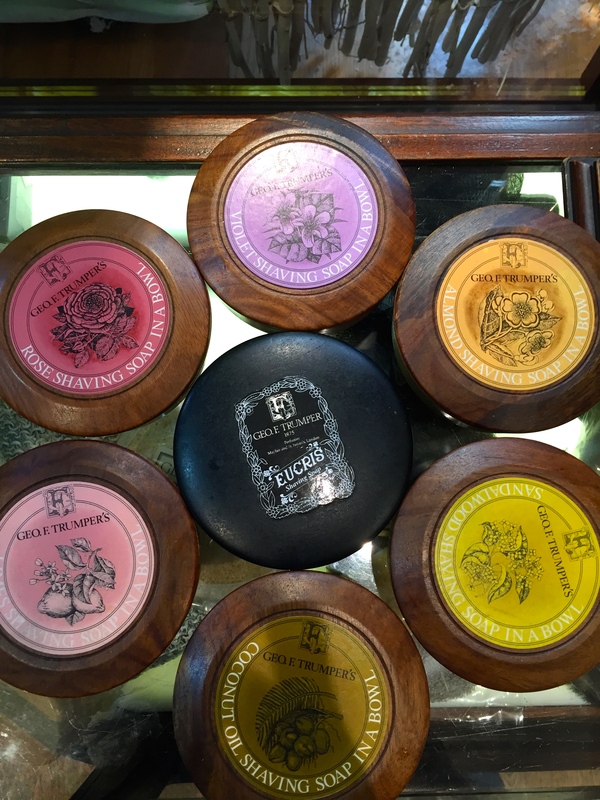 Every hair product used smelt fresh and natural with citrus and floral scents soon filling the area. 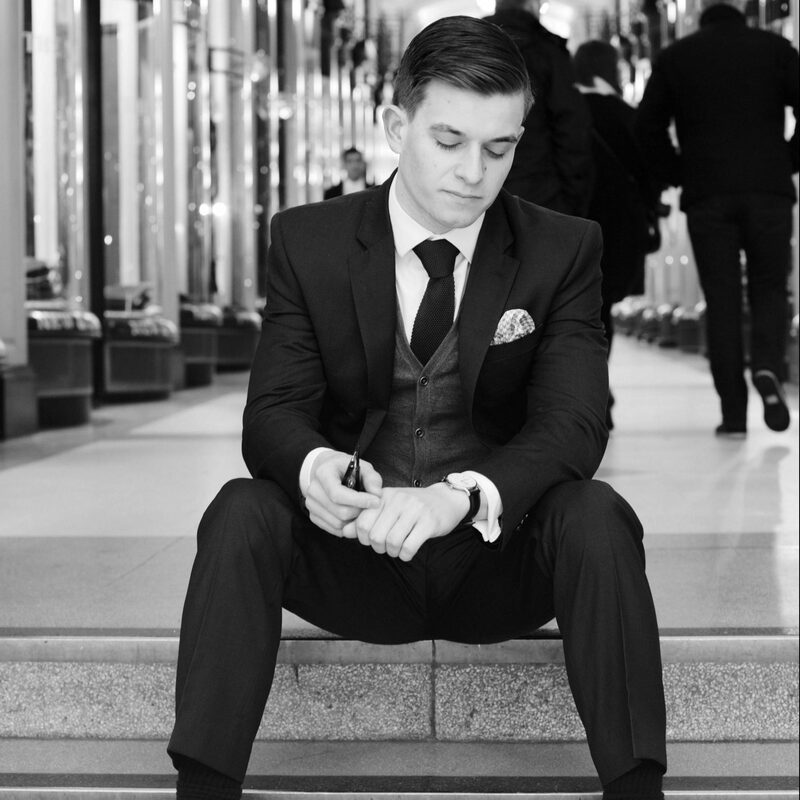 The haircut was a luxury experience that is perfect for the modern gentleman, subtly masculine and expertly performed. 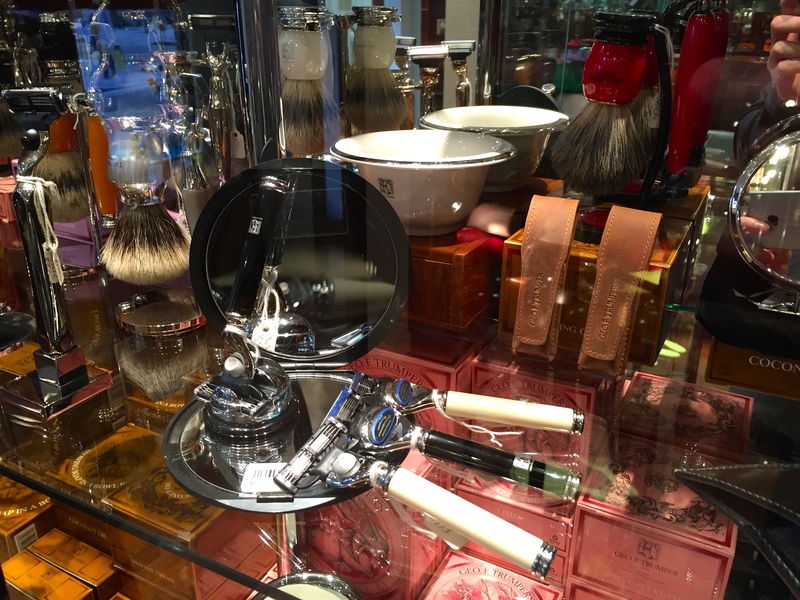 The salon is a strictly phone-free area to preserve the quiet ambience, so instead we managed to get some shots of the fine displays and stunning products on offer. 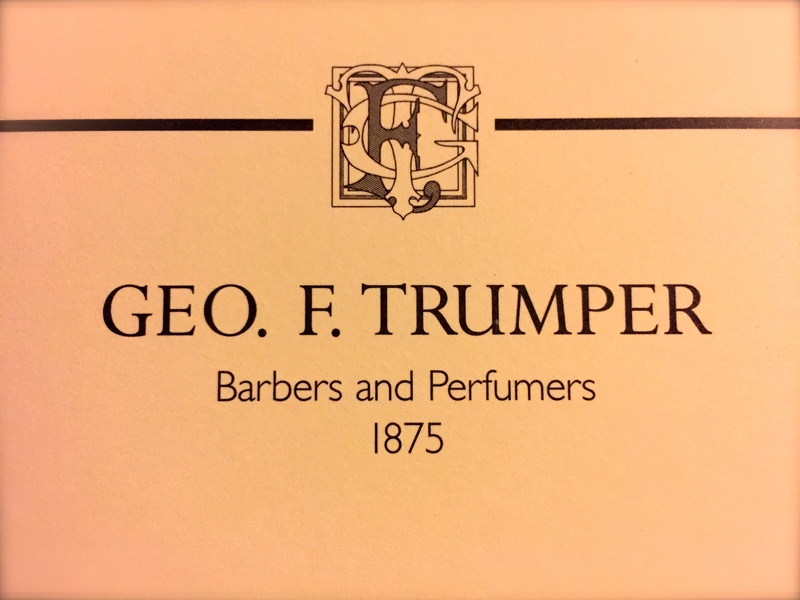 We can only recommend Geo F Trumper after their fantastic services, so much so that we will be returning soon to experience them again. You can check out their full list of shops and services here, as well as book an appointment for one of their top quality treatments. 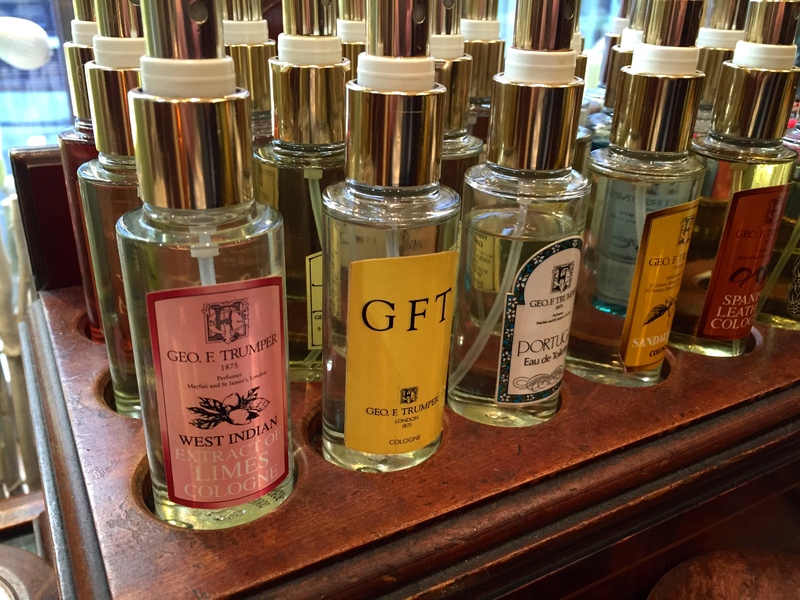 If you happen to be walking through Mayfair or Jermyn Street, we highly recommend stopping by simply just so that you can sample their wonderful products. As usual if you have enjoyed the article then do feel free to like, comment and share this with your friends/followers. You can also sign-up to be notified of new posts and follow The Male Stylist activity. If you have any comments or would like to know more about this even then feel free to leave it in the comment section below.